Byretech's range of Quality Grabs Rails in Stainless Steel and Plastic are hard to beat and suit any requirement you have around the home. We even have a range of Suction Grab Rails too which are amazing and really work well. 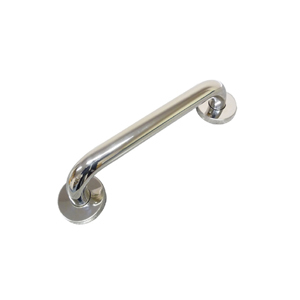 Our Marine Grade Stainless Steel Grab Rails have a shiny mirror polished finish, to add that bit of luxury in the bathroom and to match all your other bathroom accessories. Our Stainless Steel Grab Rails absolutely won't rust either, thats guaranteed for 5 Years!!! We would also like to introduce our new range of Plastic Grab Rails, if you're looking for a more subtle look in your bathroom. Our new range of Stick 'n' Stay Moveable Grab Rails are very useful because you can transfer them around the house, making them incredibly versatile. They work on tiles, glass, shower boards and many other smooth surfaces. Want to ask us a question or have a larger quantity requirement ? No problems, just call us on 01527 522 522 and ask for Simon our Grab Rail Guru !